Update: We have a new winner that takes the title of the most comfortable Flip Flops! 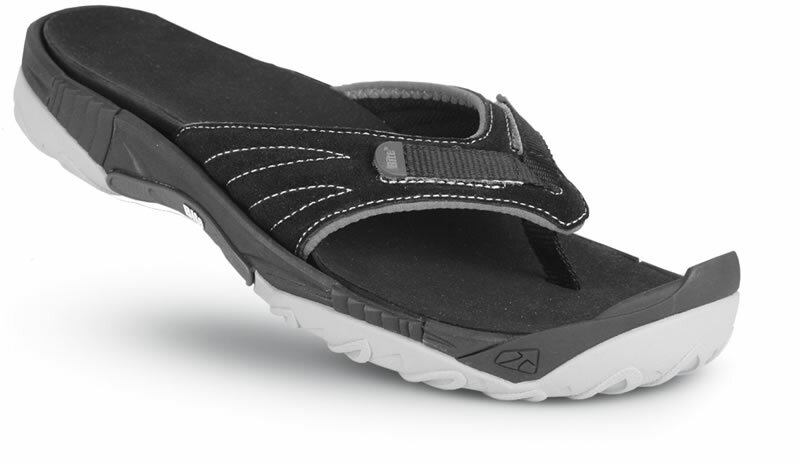 Orthaheel and Dr. Weil Orthotic Sandals properly align your feet with the rest of your body. The result is all day comfort from a stylish flip flop or slide sandal. The combination of fresh styles and orthotic technology make these the most comfortable flip flop / sandals around! Orthaheel Footwear Products were designed by Podiatrist, Phillip Vasyli, who has succesffully treated thousands of patients suffering from heel pain, knee pain, back pain, and aching legs. Through his experience the Orthaheel product line was formed. With Bite biting the dust after getting acquired by Crocs we have found a new flip-flop supplier, Moszkito! 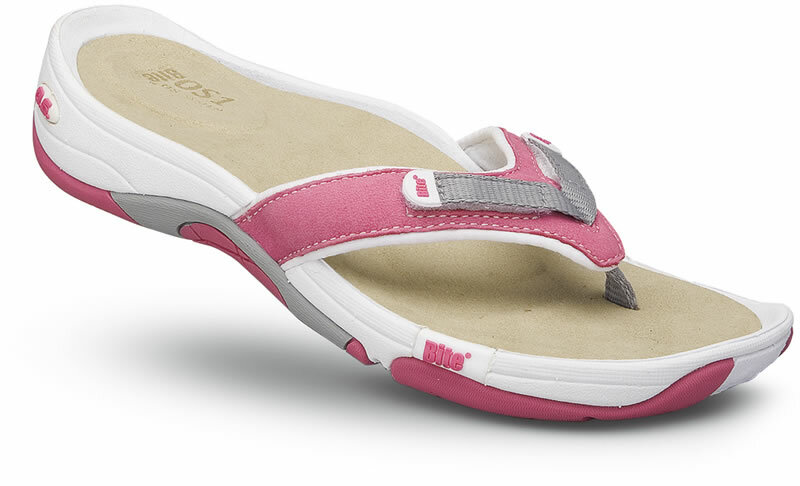 Moszkito makes a wide assortment of flip flops that have built-in arch support. These are great for wearing outside on warm sunny days, great for walking around on vacations and are wonderful around the house, especially if you have hard floors. Please view the whole lineup of Moszkito flip flops – we are constantly adding new styles so be sure to check back! With summer approaching I’d like to introduce the Bite Spirit OS and Bite Mako flip-flops. These flip flops feature removable insoles which allow you to wear your custom orthotics in them. Even without custom orthotics, the included OS1 footbed provides exceptional comfort and support. If you try them out and don’t agree with my statement, they are backed by Bite’s 45-day comfort guarantee, simply send them back for a refund! If you are an avid flip-flop wearer, you must get these! Take foot health and comfort with you everywhere. There’s no longer any reason for foot pain. Many colors available to suit your style, please look at the following pictures and check the links below if you are interested in getting a pair. A bonus feature with these flip-flops, illustrated in the picture below, is the adjustable straps to help reduce the flop and ensure a snug fit.